Happy American Hangover day! Hope you are all rested after the Super Bowl and ready to start the week. I took a break from this weekend’s festivities to enjoy a My Father The Judge pared with a bottle of Mikkeller’s Beer Geek Breakfast Oatmeal Stout. The My Father The Judge has been one of the most highly touted releases as of late. While it was initially released in 2016 the cigar really didn’t find it’s way into the public hands until last year. 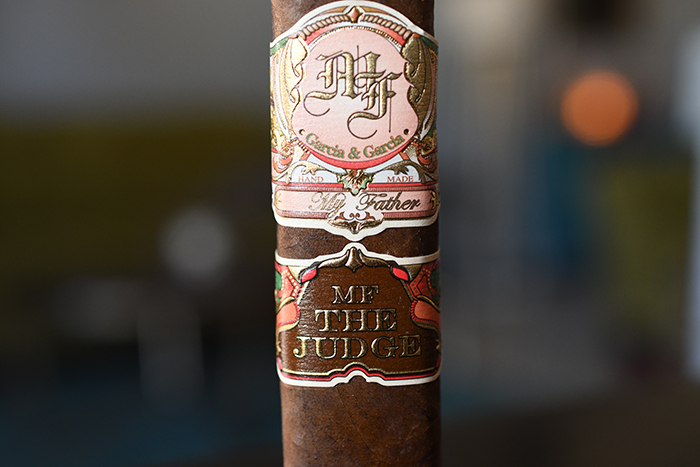 The Judge is an extension of the popular My Father line created by Don Pepin Garcia and his son Jaime Garcia. 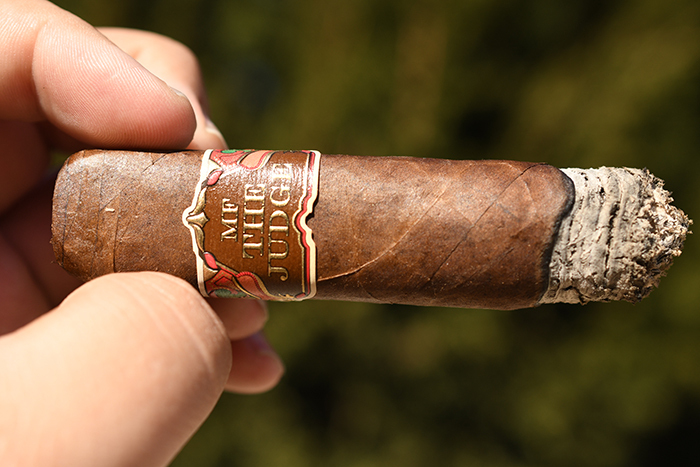 The Judge is advertised as a more full-bodied version of the blend mostly due to the Ecuadorian Sumatra seed wrapper over a Nicaraguan criollo/corojo dual binder and Nicaraguan fillers from 3 different My Father-owned farms. 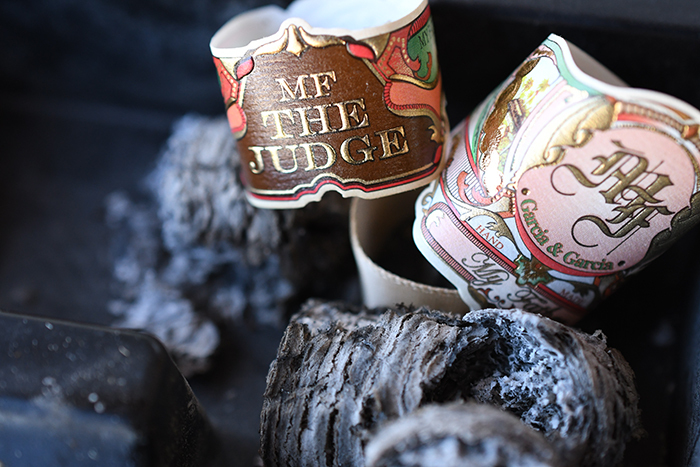 The Judge come in three different box-pressed sizes: Toro Fino: 6 x 52, Grand Robusto: 5 x 60, and Toro: 6 x 56. Each format comes packaged in boxes of 23 running between $11.70 and $12.40 a stick. I got mine over from our good friends at Cuenca Cigars who is having an awesome sampler sale including 10 of Cigar Aficionado’s top cigars of 2017. The My Father The Judge starts out with a very consistent, very dark brown wrapper. 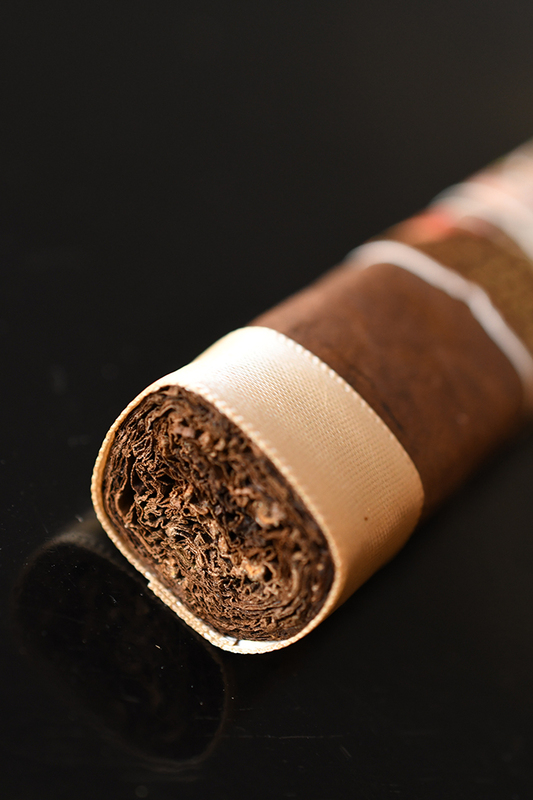 The wrapper only showcases a few darker areas located around the natural webbing of the tobacco leaf. 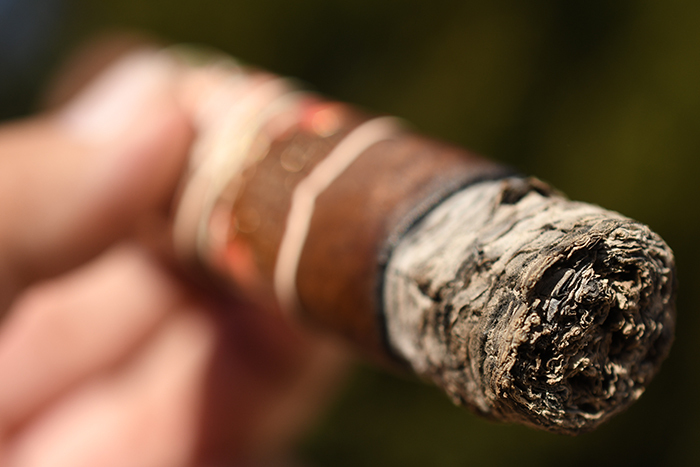 The texture on the cigar is very firm, and very toothy with a small amount of oils coating the wrapper. 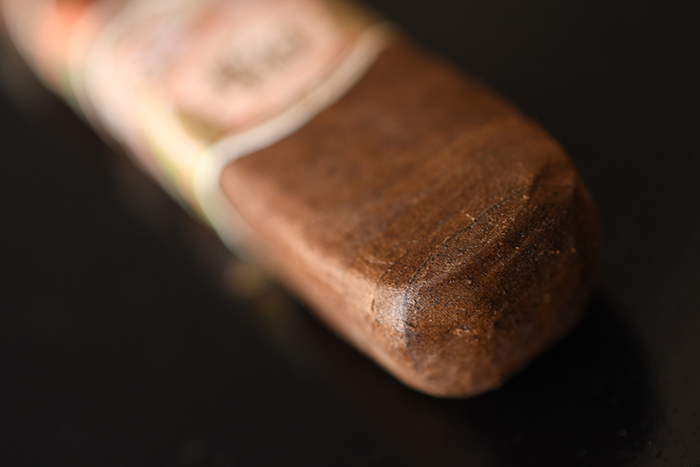 The cigar as a whole feels pretty firm, with no soft spots while the wrapper is very thick and dense as it leads up to the cigar’s round, double wrapped cap. The cigar is polished off by the beautiful intricate My Father band we all know, and the addition of a secondary brown band with “The Judge” embossed in gold on the front. 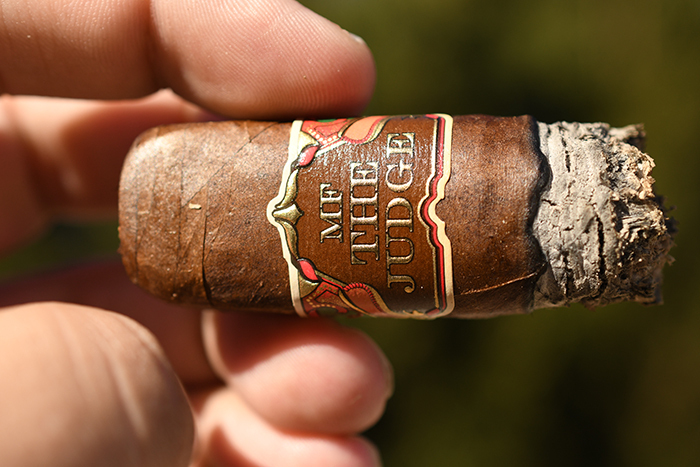 The wrapper on the judge releases some great cedar, leather, and spice aromas while the foot of the cigar is much more natural with an overall dirt aroma. The cap cut like butter using my Xikar XO double bladed cutter. The cold draw produces a ton of bold spice, deep cedar, and natural tobacco flavors. The My Father The Judge starts out with a hell of a cayenne pepper blast which left my lips and tongue tingling for quite some time. Once the pepper fades out the cigar hits you with bold, deep cedar, plum, black coffee, spice, a bit of tartness, and some bittersweet chocolate. It’s an interesting flavor profile and it’s pretty bold so it’s a bit difficult to pick apart. No complaints there. The draw is incredible. Each little puff kicks out so much thick, white smoke. The box-pressed format makes both the mouth and handfeel extremely comfortable. The burnline is pretty even leaving behind a trail of tightly compacted black and dark gray ash which held on for almost an inch before giving way. 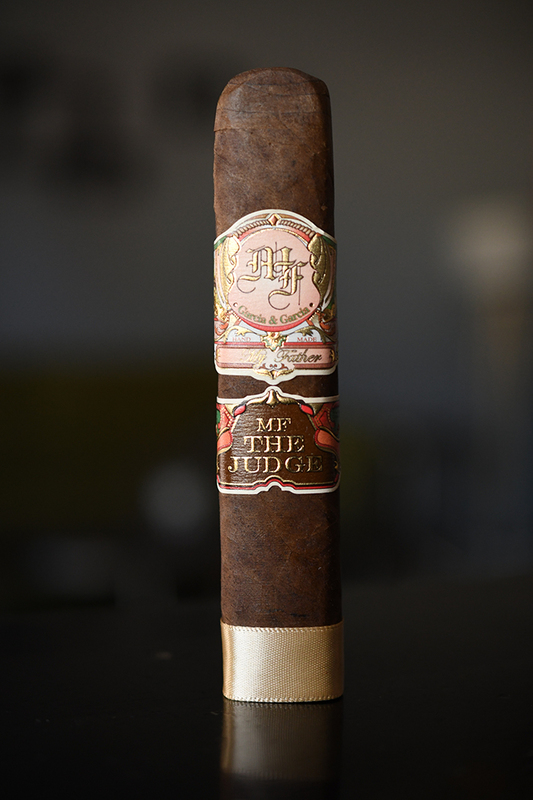 Into the second third of the My Father The Judge the flavor profile becomes much more focused on the chocolate notes. With chocolate leading the charge the flavors are backed by bold cedar, plum and spice with great notes of honey, natural tobacco, and even some slight notes of orange peel here and there. The retrohale brings all the pepper back to the front of the taste so I don’t find myself doing it too often. The burnline is still pretty solid and I close out the second third with a decent little nicotine kick. Into the final third of the My Father The Judge and the cigar is still pumping out the flavors. The chocolate is still front and center backed by bold spice and cedar along with some light coffee and vanilla. I love the flavor profile in this little beast. It took me an hour and a half to smoke it down to the nub and I experienced no harshness nor extended heat. The burnline was flawless and I never once had to reach for my light to touch up or relight the cigar. The cigar also left me with a memorable little nicotine kick. It’s easy to see the the My Father The Judge received so many accolades this past year. This is an exceptional cigar. I am a huge fan of the My Father line so anything less than exceptional would have pissed me off. Seriously though, it’s bold, its flavorful, it’s strong, it burns like a dream, and the flavors are incredible. My only gripe is it’s a bit pricey, but it’s a price I wouldn’t mind paying when I am craving a next level cigar experience. Mikkeller’s Beer Geek breakfast is a simple Coffee Infused Oatmeal stout. Coming in at a modest 7.5% ABV the beer leads with some rich dark chocolate, milk, oat, roasted malt, and vanilla with a light mouthfeel before finishing with even more milk chocolate, oat, and a ton of sweetness with a bold vanilla aftertaste. This beer is so smooth and lacks the acidity that I normally expect when it comes to coffee stouts. The flavors mashed seamlessly with the coffee, cocoa, and oat resident in the My Father the Judge. I would also pair this cigar with just about any stout or double bock.